A sweet Canadian city tucked into the east coast of Vancouver Island, only 55 km across the Strait of Georgia from Vancouver, British Colombia. Surrounded by water and spectacular ocean views, it’s a growing urban center where sea lions play and seaplanes take flight. Nanaimo was originally established as a Hudson Bay Company trading post, later becoming known for coal exports. 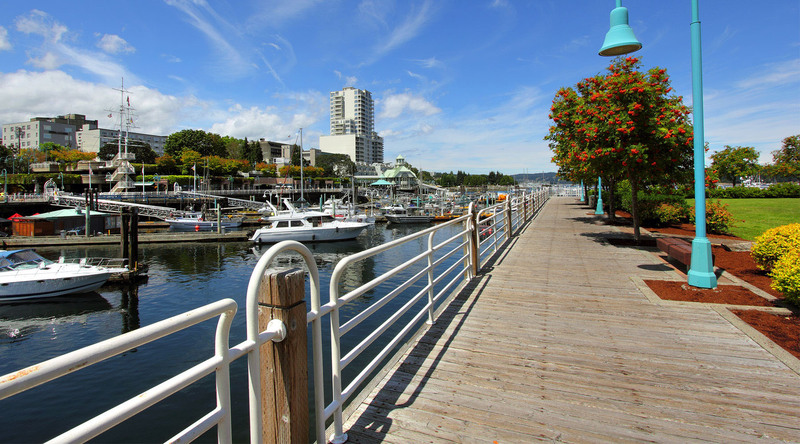 A harbor sheltered by islands, Nanaimo used to be considered mostly at gateway to the mainland but has evolved into a growing vibrant urban center that has lots to offer. Explore the revitalized downtown core and enjoyable harborfront walkway, with a new museum, art galleries, shopping, dining, heritage buildings, public plazas, and even a swimming lagoon. Be sure to catch the daily cannon firing ceremony, with accompanying bagpipes. 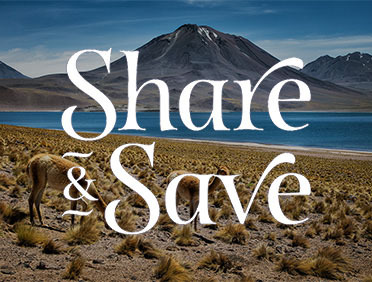 Discover stunning natural wonders such as the fascinating Abyss, a perfect meter-wide slice in the ground; striking Ammonite Falls; or the remarkable views from the top of Mount Benson. Nanaimo’s beautiful setting provides plenty of opportunities for recreational pursuits as well. Go hiking, biking, or embark on a custom catamaran cruise or fishing and crabbing charter. Try world-class scuba diving around artificial reefs or snorkel with playful harbor seals. The protected waters of the city’s lakes and harbor are made for exploring by canoe, paddleboard, or kayak. Those with a sweet tooth will want to follow the famous Nanaimo Bar Trail—a self-guided tasting trail of coffee houses, bakeries, and restaurants to try different versions of the city’s delicious namesake, the famous Nanaimo bar, a sweet chocolatey treat. For a real taste of Nanaimo, embark on a culinary tour—sample local food, visit craft breweries and wineries, and talk to local producers. Built in 1853 for storage and trade by the Hudson’s Bay Company, the Bastion is the last of the company’s remaining wooden forts in North America. Three floors of traditional wood working, the sturdy structure has been moved twice. An iconic landmark for the city, it’s a representation of the sales and trade operations in area in the 1850s. A short ferry ride will take you to Newcastle Island Provincial and Marine Park where you can hike, swim, canoe, or kayak. Or to charming Gabriola Island, a thriving arts community where you’ll even find art in nature at Malaspina Galleries. Not an actual gallery, but unique geological overhangs and formations along the shoreline. On Protection Island you can visit the Dinghy Dock Pub, Canada's only floating pub. Be sure to keep your eyes on the water. The local whale population has been known to make an appearance. Dig deep into Vancouver Island’s rich coal mining history by exploring what locals refer to as the Morden Mine. The colliery produced 76,000 tonnes of coal in 1912, its first year of operation. The still-standing 74-foot head frame and remaining coal tipple, the last on the Island, is an impressive sight. The park also acts as the trailhead for the very pretty Morden Colliery Regional Trail, which runs along an old rail grade, which was used to move coal from the mines to Boat Harbour. Discover all things cranberry on a fun-filled and delicious tour of a family owned cranberry farm. Afterwards, pop into British Columbia's first neighborhood pub. Experience the unspoiled beauty of the British Columbia rainforest and join the fun at a local market, shopping for handicrafts and artisan treasures. Visit Vancouver Island’s only Wildlife Recovery Center, home to black bears, eagles and other wildlife. Then, enjoy a guided hike to the Little Qualicum Waterfalls.